As the 2018 worlds drew to a close Italy topped the medal table for the second year running (three gold, four silver, one bronze), but in Olympic and Paralympic terms things looked very different. The USA beat Ireland to the top of the Olympic-class medals while the four countries who won Paralympic-class gold shared the honours on that side. In all, 28 countries reached the podium in Plovdiv, a very satisfactory end to a week’s superb racing for everyone except the host nation, who did not appear on the list. 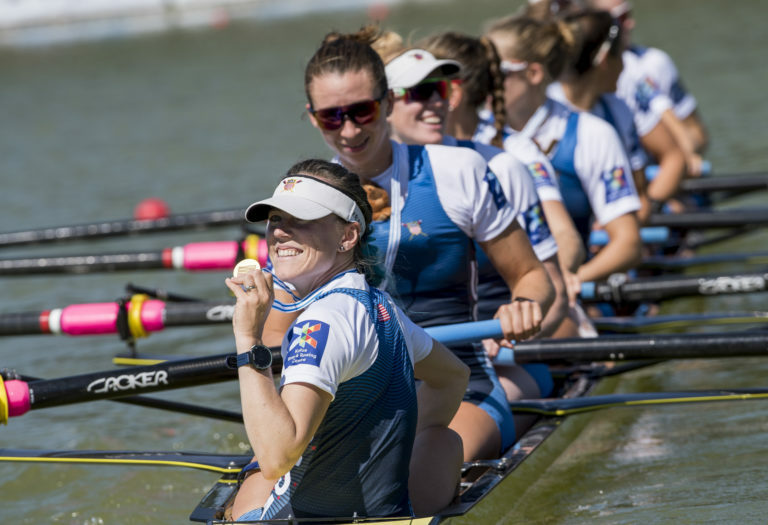 Sunday’s finals had a few familiar faces at the top, including the USA women’s eight and German men’s eight, but the list disguises a set of red-hot races which sprang plenty of surprises. 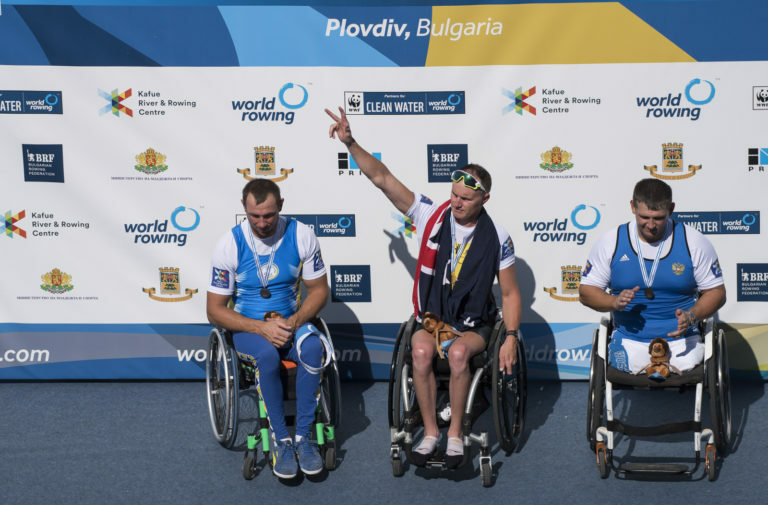 All 2018 world championship coverage from Plovdiv here. Concerns about wind were raised more than an hour before racing, as an increasingly strong (and against prediction) tail-crosswind began to worry the FISA Fairness Commission. Acting rapidly FISA at first planned to reallocate lanes for the early C/B finals, but very soon decided to redraw the whole lot. Semi-final winners were randomly allocated lanes 5/6, runners-up 3/4, and those who had qualified last were given lanes 1 or 2. The wind continued gusting through the first racing, but although there was still a strong tail component, the bumpy nature of the water on the grandstand and supposedly favoured side initially made it a day for the more technical rowers and scullers, even after FISA shifted the course to stroke side for the A-finals. It did give spectators a thrill though, not only seeing the quickest semi-finalists in the nearest lanes, but also getting to cheer crews on their way up to the start or while winding down. In a switch of timings the singles were the first Olympic events of the day, so they had the worst of the still-variable wind. This gave world champion Ondrej Synek (CZE) a very nasty moment when a gust blew him sideways and onto the buoys just as the race started. He caught a blade, recovered well but then had to catch up for the rest of the first thousand. What he found when he got there was a race in which Robbie Manson (NZL) had inexplicably lost his mojo, Kjetil Borch (NOR) was bossing the pack, and Mindaugas Griskonis (LTU) was having a fine old time in the supposedly disadvantaged lane 1. Borch won, but Synek claimed silver after pushing him very hard indeed, and Griskonis took the bronze comfortably ahead of Brit Harry Leask’s last-ditch sprint past Manson. Oliver Zeidler (GER) couldn’t quite keep up with the field although he still remains a dangerous prospect for the future. Despite Jeannine Gmelin’s stellar record, one person at this championships has been looking like a very serious threat. On Sunday the threat was realised as Irishwoman Sanita Puspure led the entire way to take her country’s second gold and put them runners-up on the Olympic medal table. Claiming to have cried more at the O’Donovans’ win the day before Puspure, who has visibly learned her trade during the last few years, sprang the perfect surprise on Gmelin, whom she had not directly raced all week. Puspure’s times have always been faster, but not by enough to worry the Swiss sculler, yet in the final there turned out to be nothing Gmelin could do to get close to Puspure. In a spread-out field Magdalena Lobnig (AUT) and Kara Kohler (USA) were the only ones locked together most of the way, and as they passed the fading Dane Fie Udby Erichsen it was Lobnig who found an extra reserve and sprinted for bronze. 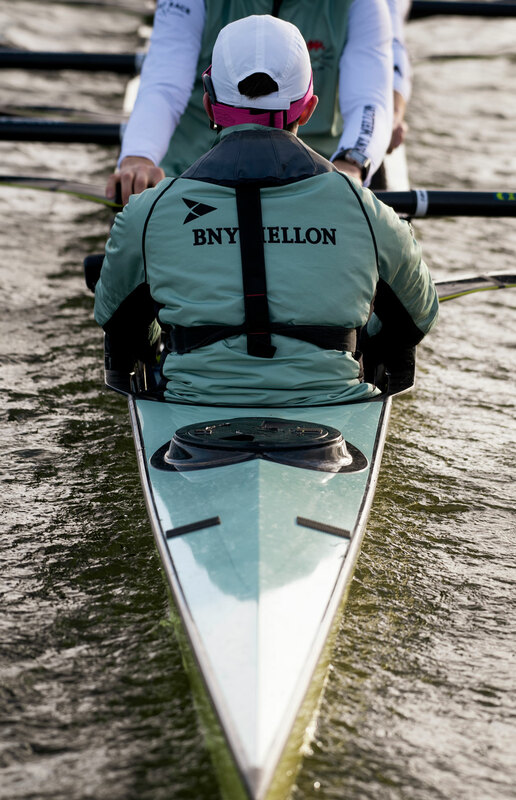 The eights were brilliant, with known talents winning but without any sense of inevitability. 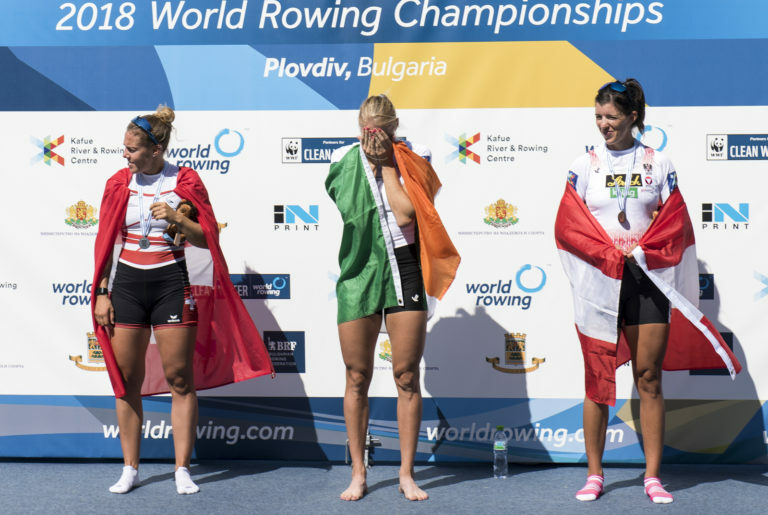 The USA confirmed that it is fully back in women’s sweep rowing, their eight taking gold to add to the coxless fours win, ahead of a glorious battle between Australia and Canada. It was the Aussies who initially led the Yanks and clung to their coat-tails with determination as the US oars started to slip away from them, but Canada paced their race very well and began a dash to the line in the final quarter which Australia couldn’t match. Behind them the Dutch beat defending champions Roumania for fourth and Britain ended up sixth in what will be a non-Tokyo place next year. The men’s eights went one better, with not three but four crews in the medal hunt. Germany came to the final well aware of the intense pressure they were under, after both Australia and the USA posted super-fast times in the opening heat. Taking nothing for granted, the DeutscheAchter went out hard and fast, with first Australia and then Britain maintaining overlap on them and refusing to be dropped. But it was the final 300m which took our breath away, Germany lifting the rate to hold onto gold but Australia’s resurgence joined by a blistering US sprint in which both closed on the Brits. They crossed the line with nobody knowing what had happened: a photofinish was needed to sort out the result, and after a tense pause the Aussies were confirmed as silver medallists over the Brits by 0.03 seconds, with the Yanks 0.14 seconds further back. 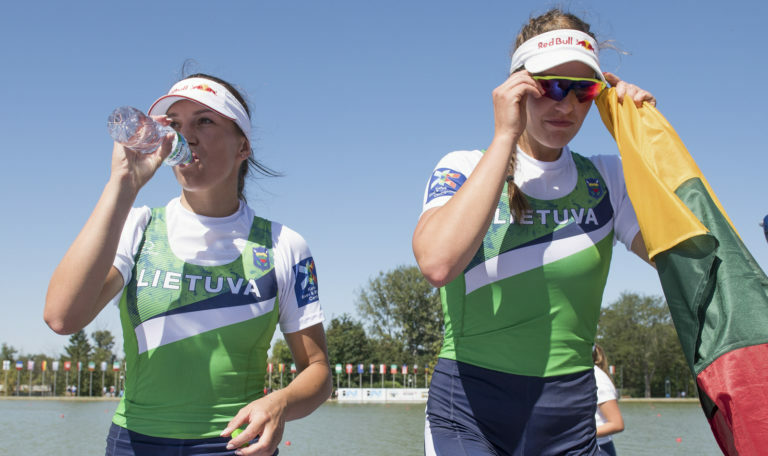 And so to the double sculls, where Lithuania proved that lurking in the minor places all week is no bar to getting gold on Sunday. It is five years since Milda Valciukaite was a dominant force in women’s doubles with her previous partner Donata Vistartaite, but she and Ieva Adomaviciute have been in the A-final zone for a while now, occasionally picking up the odd medal. This time, spurred on by the wavering of the New Zealand double’s dominance, they took on the race hard and once at the front, never let go. Behind them Britain’s under-23 surprise stars did a great job in the first thousand before fading, to let New Zealand and the USA through for silver and bronze. The men’s doubles were less of a surprise, since Frenchmen Hugo Boucheron and Matthieu Androdias have been the ones to watch all week and took gold in what looked like comfort despite a terrific race for the minor medals only a short distance behind them. 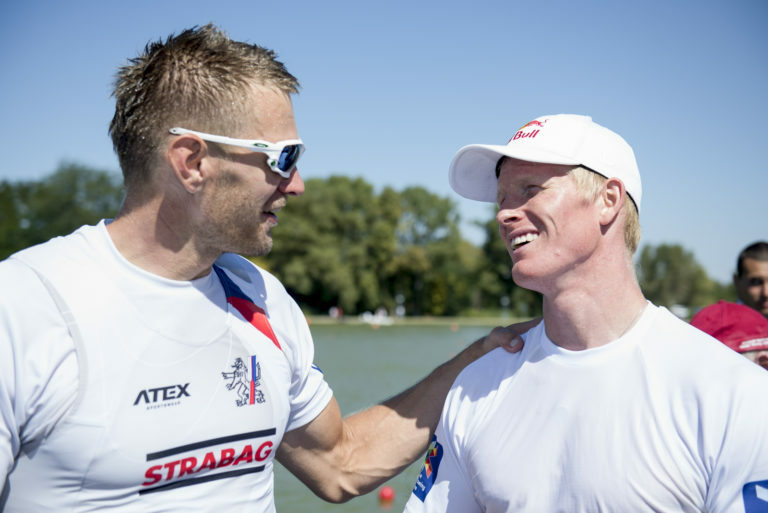 The late developers were Switzerland, Roman Roeoesli and Barnabe Delarze having only five weeks together in the boat and coming through the repechage, but claiming silver over defending world champions New Zealand by what was close to a photofinish in the final tussle. It was a fight which Britain should have been in, but after a slow-ish start they couldn’t find their usual finishing speed and were a second off the podium. 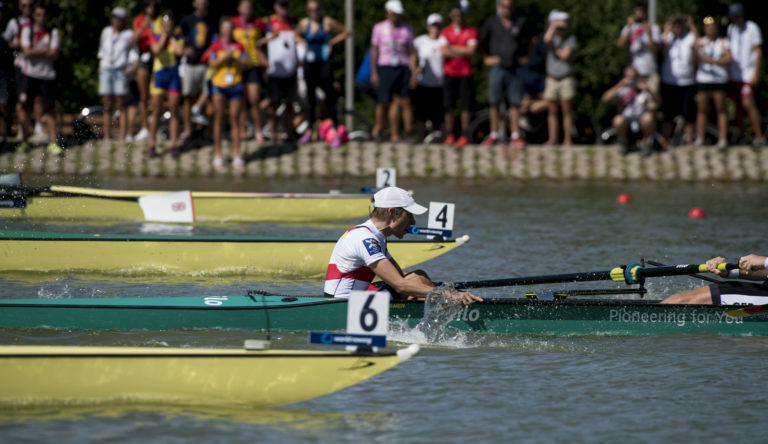 Australia’s phenomenal PR1 sculler Erik Horrie proved that age is no barrier to going faster, the 38-year-old racing toe to toe with Ukraine’s Roman Polianskyi for the whole course and pushing past in the last minute for gold. The Australia set yet another world best time (by nine seconds) while giving the impression that he still has more to come. Horrie, who had watched the Ukrainian throughout the last 500m, flipped his cap off his head and dabbed then bowed expansively to the cheering crowd at the end, nearly tipping into the water in his exuberance (thank goodness for PR1 floats….) Norway’s Birgit Skarstein set her own new world mark by eleven seconds, but the more notable part was that runner-up Moran Samuel from Israel was nearly a minute back: Skarstein has such a total stranglehold on this event at the moment that she could have gone for a warm-down and come back before her rivals reached the line. And so that’s it for another year. Next time the championships come round it will be Linz, and Olympic/Paralympic qualifying will be on the line. In racing terms, Plovdiv was a very good dress rehearsal.